The Endoradar by Woodpecker is an endomotor with a built-in apex locator, which saves space as well as time while performing root canal therapy. 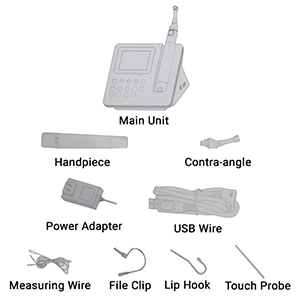 The endomotor and apex locator functions can be used separately or together, by the click of a button (En-Ap), as per the choice of the dentist. This device can be a great asset to your endodontic practice as it eliminates the need for individual devices for working length determination and root canal shaping. 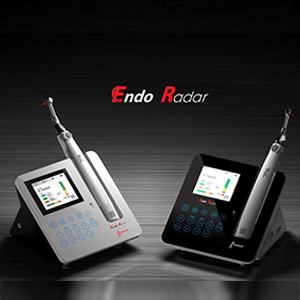 EndoRadar features a cordless endodontic handpiece while having a USB cable as well. The handpiece also has a wireless, intelligent charging mode that does not require the use of an adapter.